How do we know that the Bible is the Word of God? By asking such a question, we actually have to give two different but related answers. First, we must answer with the objective evidence that substantiates the claim that the Bible is the Word of God. Second, we must answer how is it that we become subjectively persuaded that the Bible is the Word of God. For instance, the objective evidence that the Lamborghini Aventador in my driveway belongs to me would be the title papers that record my name to the Aventador’s VIN number. If this was indeed true, this objective verification is all that is needed to prove my ownership in a court of law. Even if I had the title in hand, however, I am not sure this would be enough to convince all my old, high-school buddies. I can hear them saying, “No way!” They would probably think the title was a forgery. And I admit, if I owned a Lamborghini, it would be hard to believe. It is a little farfetched to say the least. Objective reality does not always bring about subjective certainty. Sadly, the sinful heart often distorts our thinking (Ephesians 4:18). Of course, we have little to no problem accepting truth that we deem beneficial. We typically don’t want to suppress truth that makes us look and feel good. Yet, truth that humbles, criticizes, or condemns us is harder to embrace. We are prone, due to our selfish nature, to deny the truth we despise. If we despise God, we will certainly despise His Word. It’s not that we don’t have the physical ability to grasp spiritual truth, rather, according to Jonathan Edwards, we simply don’t have the moral ability, apart from grace, willingly to embrace spiritual truth.1 Like a panda bear that has all the physical components to eat meat, we were born with all the physical tools needed to come to the knowledge of the truth. Panda bears, however, don’t like meat. For some strange reason, they like to eat grass. In the same way, apart from sovereign grace, we don’t have an appetite for spiritual truth (2 Corinthians 2:14). Our natural love for darkness makes spiritual truth repulsive. Since, because of our fallen nature, we have no moral propensity to embrace spiritual truth, we need more than objective certainty to cause us to embrace the Bible as God’s Word; we need subjective persuasion. According to chapter 1, paragraph 5, of The Second London Baptist Confession of Faith, the Bible verifies its divine authorship by the objective marks of inspiration and by the subjective illumination of the Holy Spirit to our hearts. In this way, as we shall see, the Bible has a twofold witness (inspiration and illumination) to its divine authorship. The first half of paragraph 5 speaks of the objective witness of Scripture. There are various “arguments,” according to the confession, “whereby (the Bible) abundantly evidences itself to be the Word of God.” Other than the “testimony of the church,” the objective evidence that verify Biblical inspiration are the divine qualities (which the confession calls “excellencies” and “perfections”) that are inherent within the Bible. In other words, since the Scriptures are inspired of God, they contain the very “excellencies” and “perfections” of God. This means that the Bible not only claims to be God’s Word (1 Corinthians 2:12-13, 2 Timothy 3:16, 2 Peter 1:20), it handles itself as if it is truly the Word of God. As with God, the Bible is self-authenticating in its inherent authority, efficacy, and inerrancy. First, the Bible testifies of its divine authorship by its inherent authority. “The authority of God shining in them,” according to John Owen, “affords unto us all the divine evidence of themselves which God is willing to grant unto us, or can be granted us, or is anyway needful for us. So then, the authority of the written Word—in itself and unto us—is from itself, as the Word of God.” This means that the authority of the Scripture does not stand upon the approval of men, ecumenical councils, or churches, but upon its own intrinsic authority. The Scriptures behave in the same way in which God would behave if He was directly speaking to us. That is, the Scriptures demand belief, obedience, and submission in the same manner that God demands belief, obedience, and submission. Because there is no difference between the authority of God and the authority of the Bible, to disobey the Bible in unbelief is to disobey God Himself in unbelief (John 5:47). Second, the inherent efficacy of the Bible testifies of its own Divine authorship. Scripture proves to be God’s Word by its own light and power (Psalm 36:9). As light and power need no external verification, the Bible needs no external proof of its divinity. John Owen stated: “Whatever it be that hath an innate power in itself, that will effectually operate on a fit and proper subject—it is able to evidence itself, and its own nature and condition.” 4 Likewise, Scripture accomplishes the very things it promises to accomplish (Isaiah 55:11). As God created the universe by His spoken Word, so He recreates that which has been destroyed by sin by His written Word. The Scripture is the power of God unto salvation to all who believe (Romans 1:16). By the Word, dead souls are miraculously reborn (1 Peter 1:23), hardened sinners are sanctified (John 17:17, Ephesians 5:26), and those enslaved to spiritual darkness are gloriously liberated by the light (2 Timothy 1:10, 2 Peter 1:19). The Scriptures are more than letters written in ink, Scripture “is living and powerful, and sharper than any two-edged sword, piercing even to the division of soul and spirit, and of joints and marrow, and is a discerner of the thoughts and intents of the heart” (Hebrews 4:12). If we read the Bible to critique its message, we will discover that it critiques us as it exposes our sin and guilt. The Bible proves to be God’s Word because it is the instrument of God’s inherent power. Third, the Bible proves to be the Word of God by its inherent inerrancy. It is impossible for God to lie (Titus 1:2, Hebrews 6:18, James 1:17), to contradict Himself (1 Corinthians 14:33), and to be mistaken (Numbers 23:19). God is perfect in His being; He is all-knowing in His essence; and He is the sovereign Lord over all historical, scientific, and religious truth. Therefore, all that has proceeded from the mind of God carries the same accuracy and inerrancy as God Himself. Because the Bible in its entirety originated from the very breath of an infallible God, it is without mistakes in its original, inspired production. Divine authority, efficacy, and inerrancy are the self-testifying attributes of inspiration. These self-testifying attributes are intrinsic within the Bible. Because these attributes don’t need any external witness to prove their existence, the Bible proves to be the inspired Word of God by its very existence. This objective witness, therefore, demonstrates that the Bible is the Word of God. Spiritual illumination is not the Spirit infusing the Bible with new authority, power, or truthfulness; these divine perfections already objectively exist in every word of the Bible. The problem does not lie in any deficiency in the authority, efficacy, and inerrancy of the Scriptures, but in the blindness of our depraved and unbelieving hearts. As the sun continues to shine its light on those who cannot see, the Bible continues to speak to us even when we cannot hear the voice of God (2 Corinthians 2:14). Spiritual illumination does nothing to the Scriptures; it does something to our hearts. As the confession teaches, spiritual illumination is “the inward work of the Holy Spirit bearing witness by and with the Word in our hearts.” It is the influencing power of God working in, by, and through Scripture to give light and spiritual understanding to the mind and heart, which irresistibly calls one to willingly believe, embrace, and obey the truth of God’s Word. To be able to hear God, therefore, we need to have a new nature—we need to be born again by the power of the Holy Spirit (John 3:7). The eyes of our hearts must be opened by the Spirit of God (Ephesians 1:18, Luke 24:25). Though we need to be enlightened by the Spirit, we must remember that the Spirit does not enlighten us independently of the Word. It is important for us to understand that the work and power of the Holy Spirit is never separated from the objective truth claims of Scripture. The Spirit is called “the Spirit of truth” (John 14:17) because He quickens our hearts (1 Peter 1:23) and sanctifies our lives (John 17:17) by the truth of God’s Word. The operations of the Spirit, which we cannot see with the natural eye, are present and manifested in the truth claims that have been objectively recorded in the pages of Scripture. This is why faith comes by hearing, but hearing comes by the Word of God (Romans 10:17). We must be on guard against the fantastic spirits who despise the external Word and Sacrament, waiting till God speaks to them in the heart. No, says Christ, here is my finger, the external Word, which must sound in the ears; my spittle, which must moisten and bestir the tongue; in this way my work proceeds rightly and readily from place to place. We see this wherever the external Word has free course; there true Christians will be found. Wherever it does not have free course, there none will be found, for as goes the shepherd, so the sheep. In conclusion, the divine perfections of inspiration (authority, efficacy, and inerrancy) and the illumination of the Holy Spirit are the two witnesses of the self-testifying nature of the Holy Scriptures. The former provides objective certainty, while the latter provides subjective certainty. 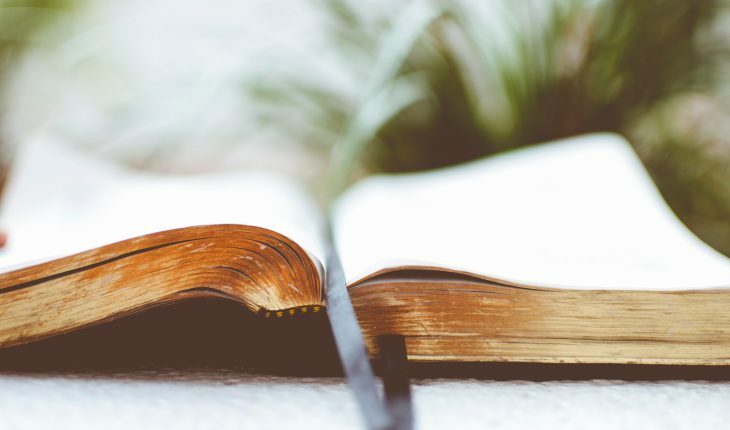 According to The Second London Baptist Confession, both witnesses are necessary in securing faith in the veracity of the Bible’s own divine testimony of itself. 1 See Jonathan Edwards, The Freedom of the Will (Morgan, PA: Soli Deo Gloria, 1996), 26. 2 John Calvin, The Institutes of the Christian Religion. Ed. by John T. McNeill. Trans. by Ford Lewis Battles (Philadelphia: The Westminster Press, 1977), 1.7.4. 3 William Whitaker, Disputations on Holy Scripture (Orlando: Soli Deo Gloria Publications, 2005), 289. 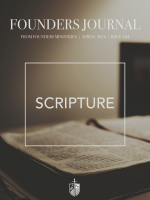 4 John Owen, “The Divine Original of the Scripture,” in The Works of John Owen. Vol. 16 (Edinburgh: Banner of Truth Trust, 1995), 319-23. 5 John Owen, “I hold, therefore, that every man, if only possessed of reason and the ability to use it according to the measure of his talents, can (without the aid of the Holy Spirit) discover the sense of the Biblical propositions and grasp their signification” (Biblical Theology. Morgan, PA: Soli Deo Gloria, 1994., 606). 6 John Owen, “My point is that teaching, arranged and systemized in this manner, has nothing at all in it which exceeds the purely intellectual capability of natural men. In all this, I stress we are by no means talking of realities themselves, but rather of methods and propositions by which it is attempted to describe those realities ” (Biblical Theology, 607). 8 Edward Young, Thy Word is Truth (Edinburgh: Banner of Truth Trust, 2012), 34. 9 Martin Luther, “Sermon for the Twelfth Sunday after Trinity,” based on Mark 7:31-37 in The Complete Sermons of Martin Luther, 7 Volumes (Grand Rapids: Baker Books, 2000) 6:399.